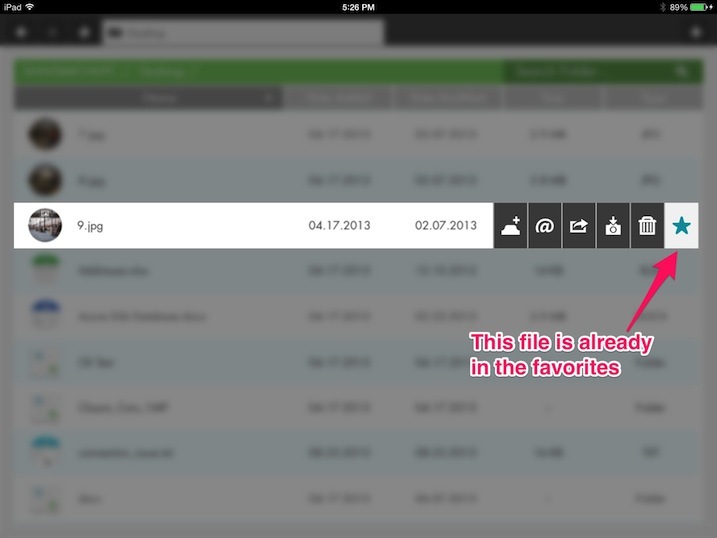 Just like the default grid view, the detailed file view allows various file operation depending on the file type such as: open, share, email and download. To open a file simply tap it anywhere within its row and it will open in the current tab (not in a new tab). 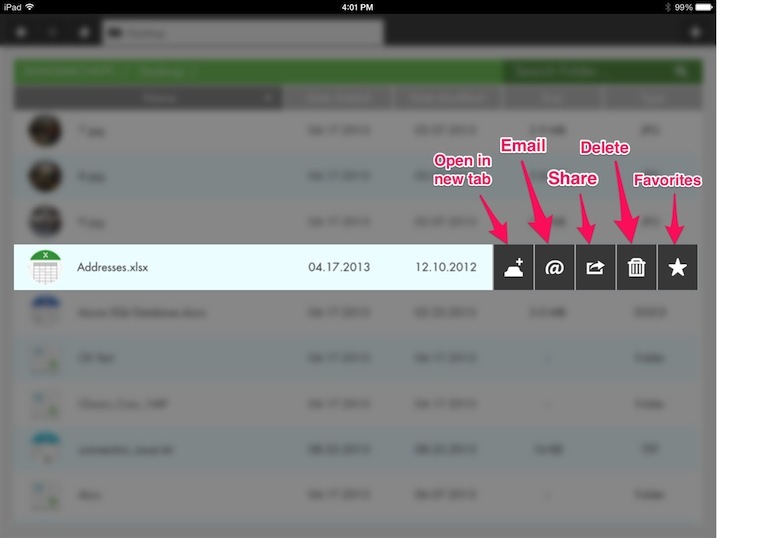 To use the share functionality simply tap the share button. The share functionality is provided by Apple's ios and the options available are dependent on the type of the file and also on the various apps that are installed on the iPad that can be used to sharing the specific file. 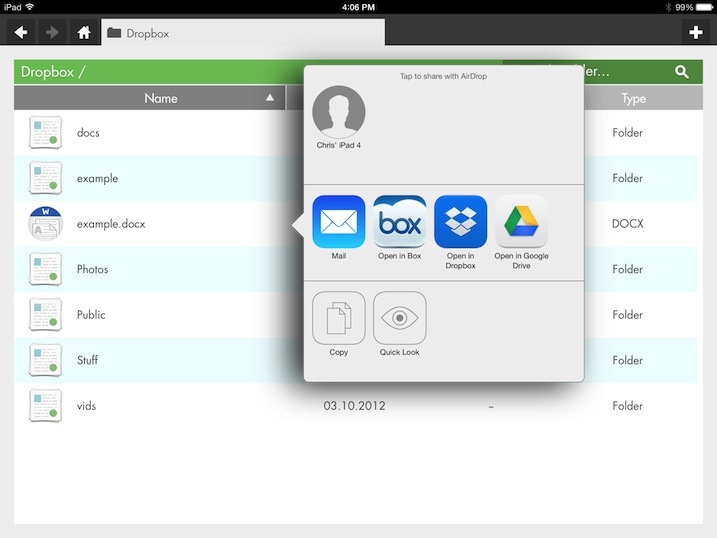 To e-mail the file simply tap the @ button in the menu. To open the selected file in a new tab simply tap the appropriate button per the image above. The new file will be opened in a new tab and will be available for editing or viewing depending on the file type. 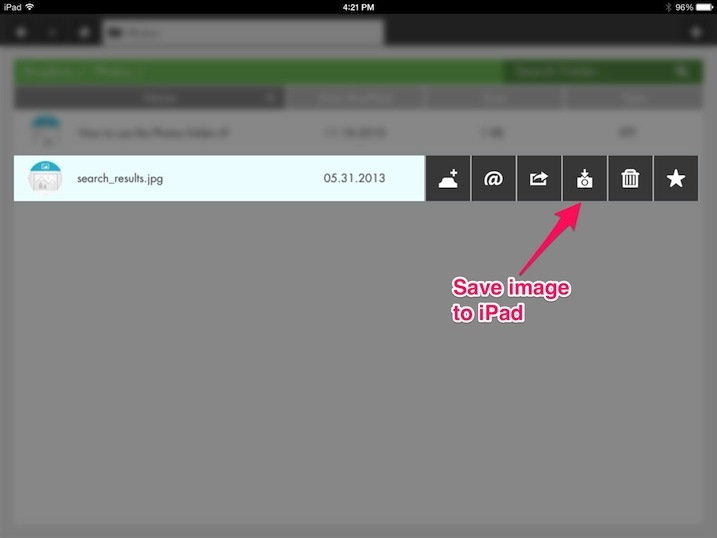 To save the selected image to your iPad simply tap the appropriate button shown in the image above. Once the round progress bar has completed your image will be available on the iPad within the Photo galley app in the photos tab.